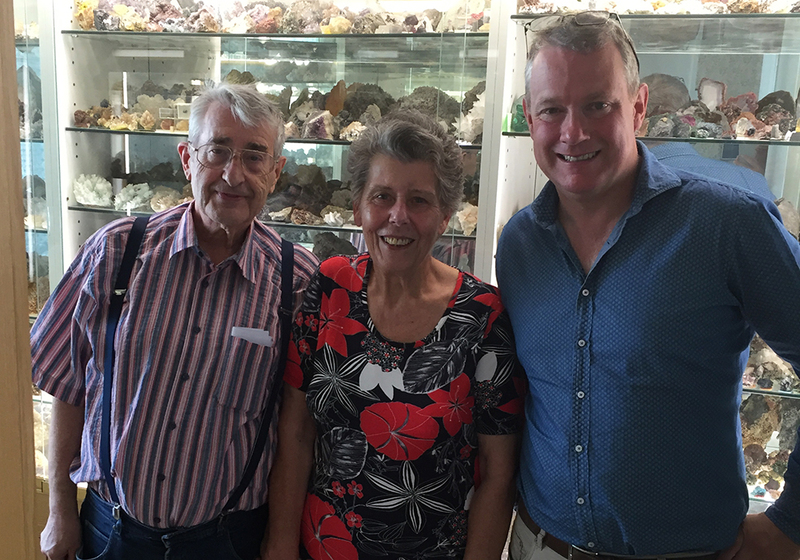 The St. Marie aux Mines show is nearly upon us but we have still found the time to travel to Vienna and secure the collection of Dr. Snizek. We have spent 5 days wrapping and packing this large collection of specimens from around the world. The collection consists of 4500 specimens including suites of minerals from most major worldwide mineral localities. The collection was built over a 40 year period and is a very eclectic mix of display specimens ranging from fine Brazilian tourmalines to super dioptase from Tsumeb and a huge selection of Trepča specimens with some incredible combinations of rhodochrosite, calcite, quartz, galena and sphalerite. This collection brings with it a fine selection of European and worldwide classics that we will process entirely over the next few months, with many specimens available to purchase online and through derhammerstein.com. We look forward to seeing you in St. Marie.